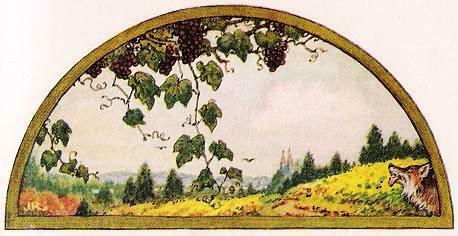 “The Fox and the Grapes” is classified as AT 59 in the Aarne-Thompson motif index. In the Perry Index, it is Æsop’s fable number 15. It finds antecedents in Æsop’s Fables and the Roman de Renart, br. XI, v. 257-333 (FR), or Reynard the Fox. 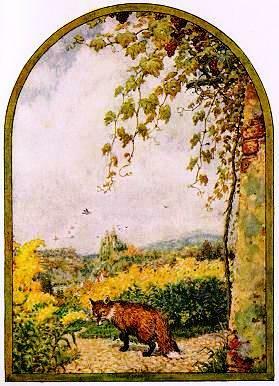 It is Jean de La Fontaine‘s « Le Renard et les Raisins » and Æsop’s The Fox and the Grapes. Did he not better than to whine? American modernist author Marianne Moore (15 November 1887 – 5 February 1972) provided a lovely prose translation of La Fontaine’s last line. Marianne Moore’s translation “sings” and it moves: alliteration, consonance: b, t, r; and assonance: i, e(r). It is therefore a truly poetical English-language moral. “The Fox and the Grapes” illustrates the theory of cognitive dissonance (the perversion of rationalization). There is cognitive dissonance when a person “attempts to hold incompatible ideas simultaneously” (Jon Elster). 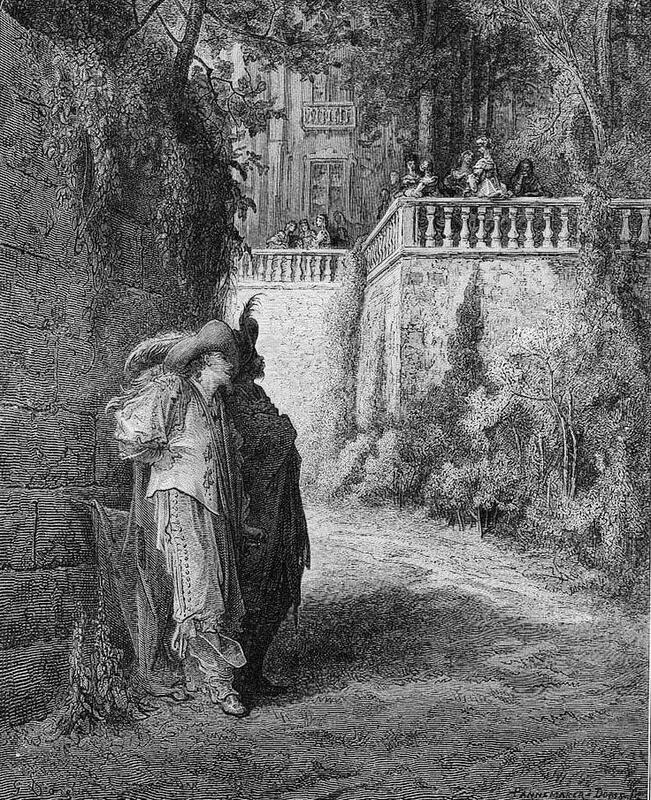 However, according to this theory, expressing scorn for what cannot be attained “serves to diminish the dissonance,” which makes it a rather useful ‘perversion.’ It would seem that such a moral is consistent with the popular moral of “The Fox and the Grapes,” which is that, from a practical point of view, it is quite appropriate to lessen one’s disappointment by finding imperfection with what is beyond one’s reach. But, although this fable is part of the Roman de Renart, where the fox is a trickster, the fox featured in “The Fox and the Grapes,” is a rather philosophical character. Playing tricks requires savvy or savoir-faire, as does negotiating the various events of life, some pleasant but some not so pleasant. 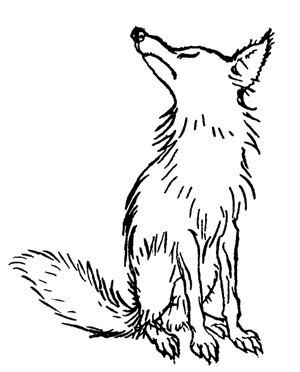 So if our fox can find fault with what he coveted, he is a happy fellow and, to a certain extent, he is also wise. 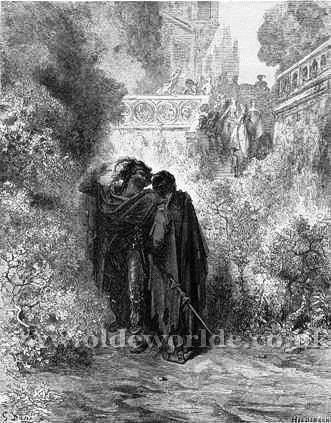 As for the young girls of the subtext, they were undoutedly too ‘vertes’ (green). In “The Cat’s Only Trick,” the cat’s claws allow the cat to climb a tree and thereby escape the hunting dogs who kill the fox. In that fable, the trickster is fooled. It is a comic text. As for our fox, he is not the wise fox featured in Antoine de Saint-Exupéry‘s (1900-1944) The Little Prince (1943), but he is emotionally competent, a form of wisdom. Green is the colour of hope, and hope, the finest of virtues. I will always remember discovering Charles Péguy‘s petite fille espérance, the little girl hope, the second virtue: faith, hope and charity. [ii] Jon Elster, Sour Grapes: Studies in the Subversion of Rationality (Cambridge: Cambridge University Press, 1983).